The European Commission has published a proposal for a directive replacing the written statement directive in an effort to increase the transparency of working conditions and related rights. CEC European Managers had participated in the consultation (below) and is favourable to establishing clear minimum standards for employment relationships. Besides extending the scope of workers’ minimum rights, the proposed directive also covers atypical forms of employment, concerning around 2-3 million workers, finally bringing legal clarity to those affected by these new forms of work. 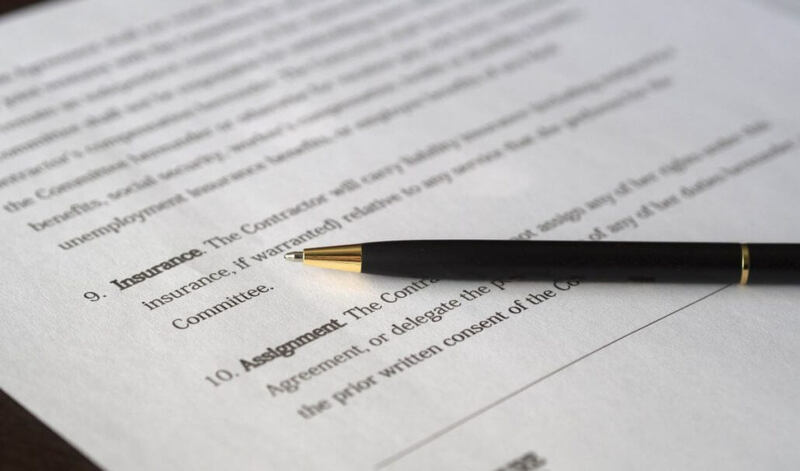 Furthermore, the list of the different working conditions for which compulsory information should be given before the commencement of the employment relation is exhaustive and covers the main aspects of a contract. At national level, social partners will be allowed to implement the new minimum requirements relating to working conditions through collective agreements, said Valdis Dombrovskis, Commission Vice-President responsible for the Euro and Social Dialogue. Aligning the notion of worker to the case-law of the European Court of Justice. Under current rules, the definitions may vary and certain categories of workers end up being excluded. By using the definition of worker from the case-law of the Court, this Directive would ensure that the same broad categories of workers will be covered. Bringing within the scope of the Directive forms of employment that are now often excluded. This includes domestic workers, marginal part-time workers or workers on very short contracts, and extending it to new forms of employment, such as on-demand workers, voucher-based workers and platform workers. Ensuring that workers are provided with an updated and extended information package directly at the start of employment from day one, instead of two months following the starting date as is currently the case. 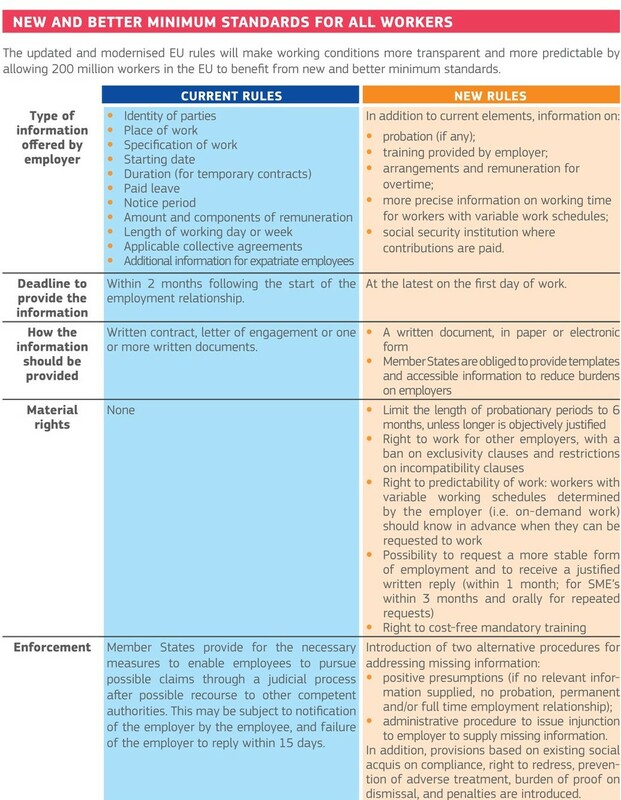 Creating new minimum rights, such as the right to greater predictability of work for those working mostly with a variable schedule, the possibility to request transition to a more stable form of employment and receive a reply in writing, or the right to mandatory training without deduction from salary. Reinforcing the means of enforcement and redress as a last resort to resolve possible disagreements, should dialogue not suffice.